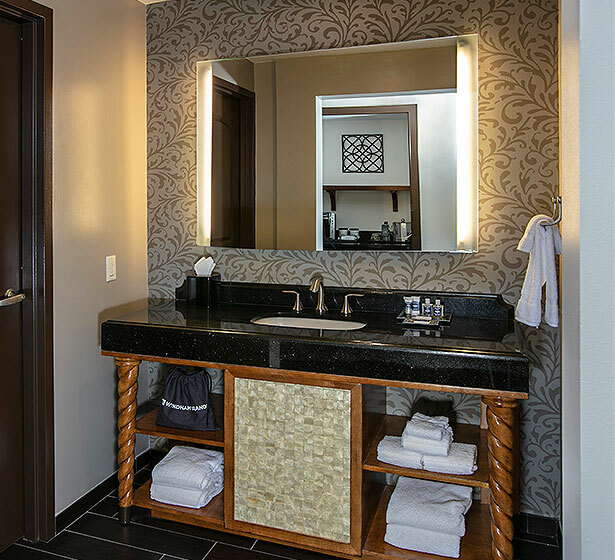 Surrounded by 500 acres of stunning woodland and a picturesque 10-acre lake, each of our spectacular, Mediterranean-style Orlando suites is thoughtfully appointed with spa-like amenities and contemporary touches to make you feel a world away. 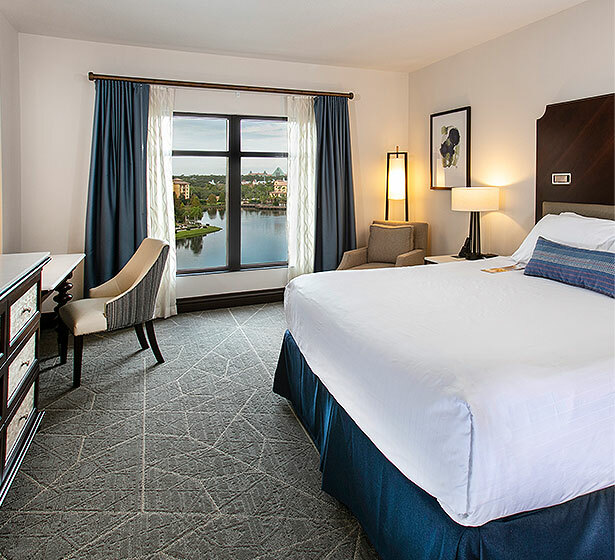 After a full day of exploring the theme parks at the Walt Disney World® Resort, unwind in style and comfort in one of our Deluxe Rooms, featuring plush bedding and spa-like amenities. 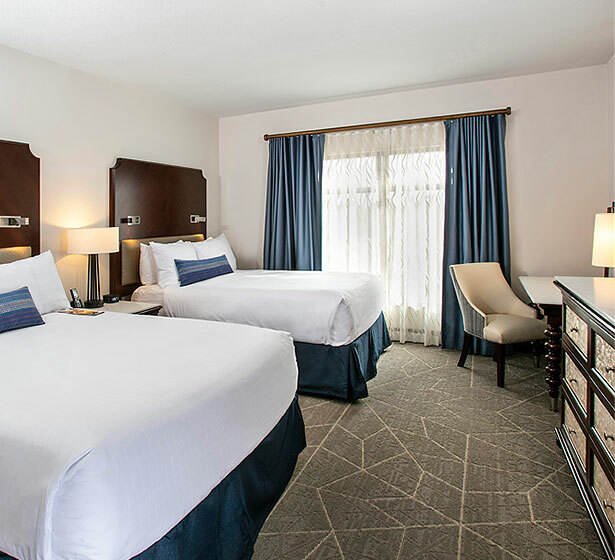 Available with King bed and sleeper sofa or two Queen beds. 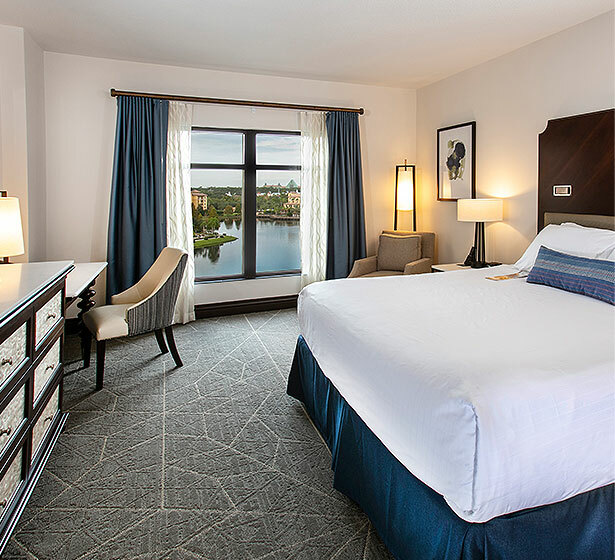 Enjoy gorgeous views of the lake while indulging in our plush, signature bedding, Mediterranean inspired decor, upgraded bath amenities, and a variety of homelike comforts, such as a convenient Keurig coffee maker and complimentary Wi-Fi. 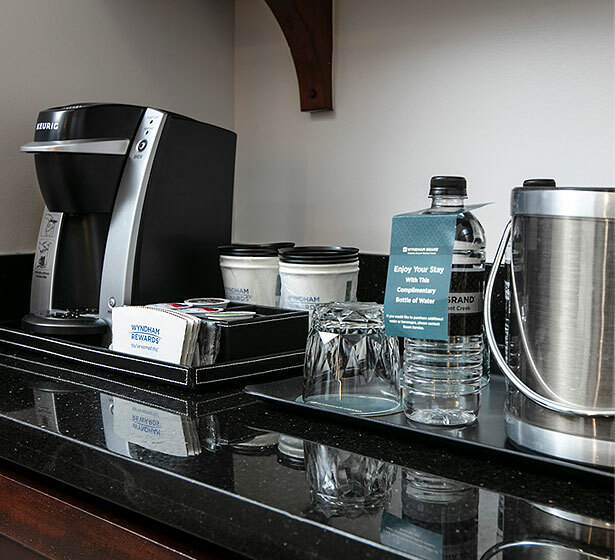 Welcome to the ultimate family experience! 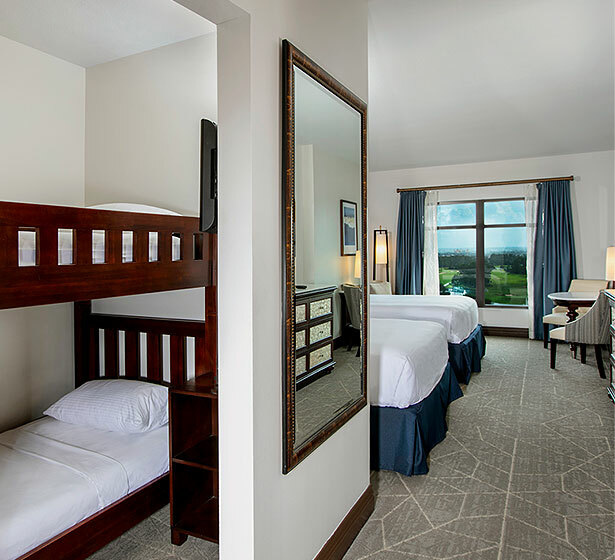 The Family Bunk room makes bedtime with cozy bunk beds for the kids, plus all of our signature comforts, such as a Keurig coffee maker, luxurious bedding, and high-speed Wi-Fi. 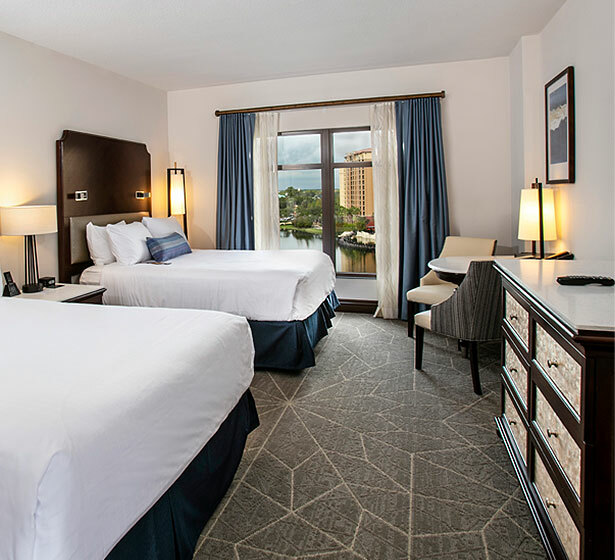 Each of our Accessible Rooms is equipped meet Florida ADA requirements with emergency procedures for disabled guests, a handicap closet, and subtitles/closed captions available on TV. 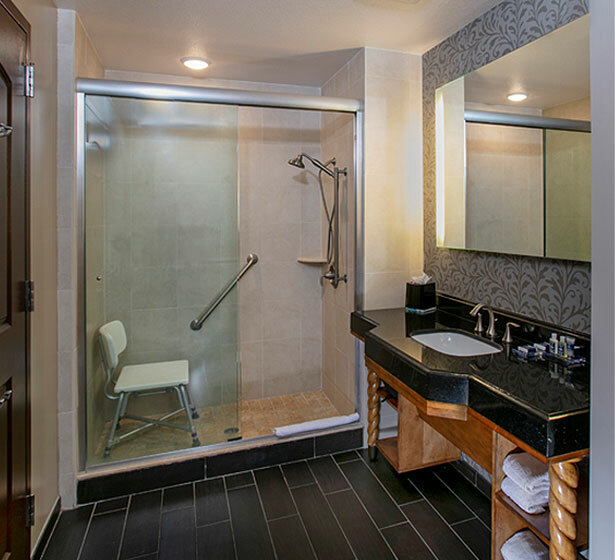 ADA roll-in showers are also available in some rooms.